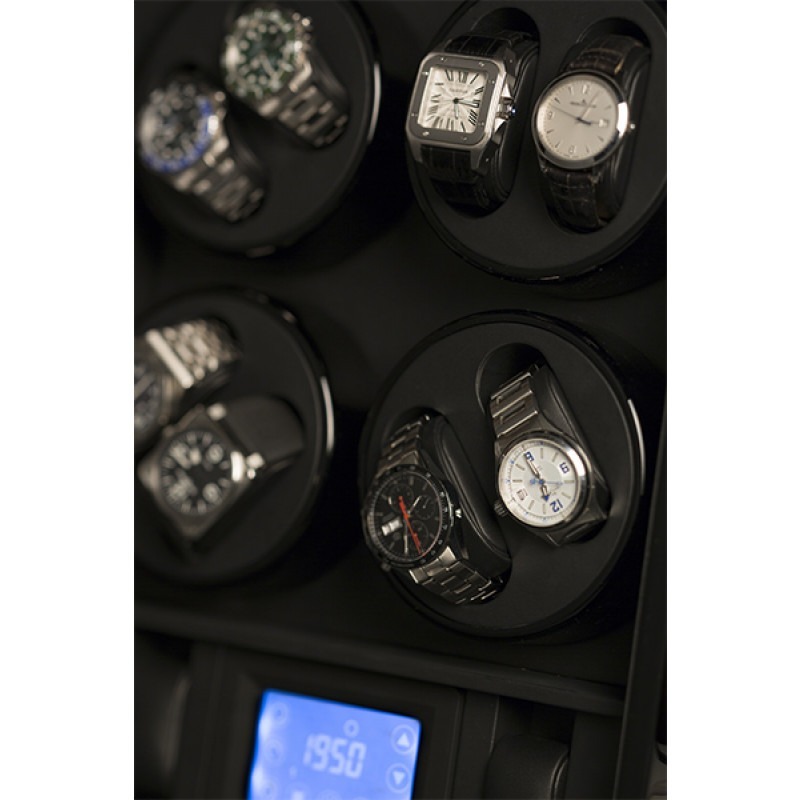 "Great product that oozes quality"
All housed in a stylish lockable display case measuring 13.25" x 10.25" x 18.25"
The Barrington 12 watch winder is a compact and stylish solution for anyone with a substantial watch collection. 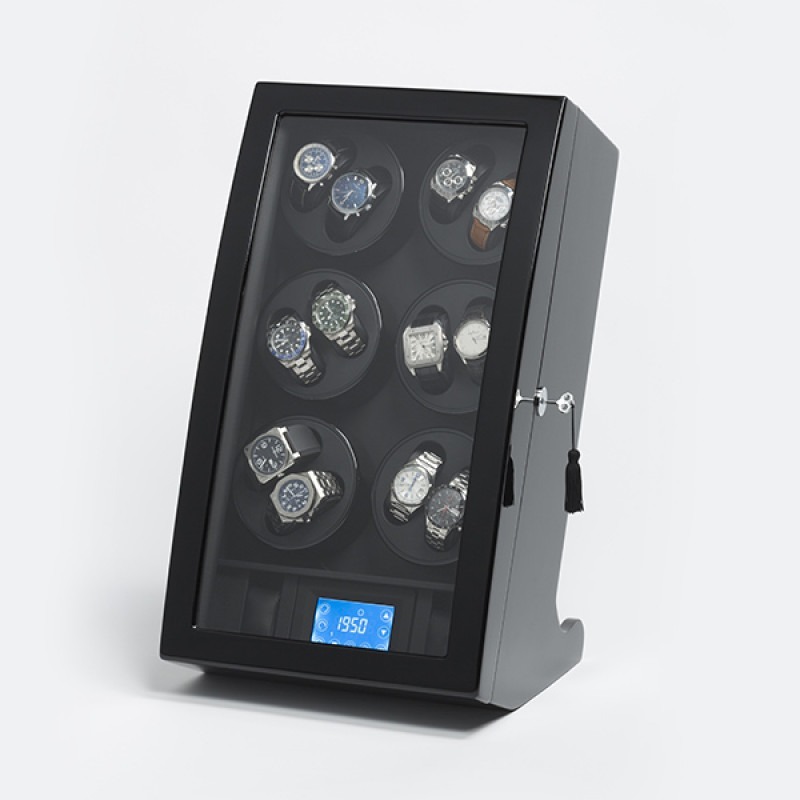 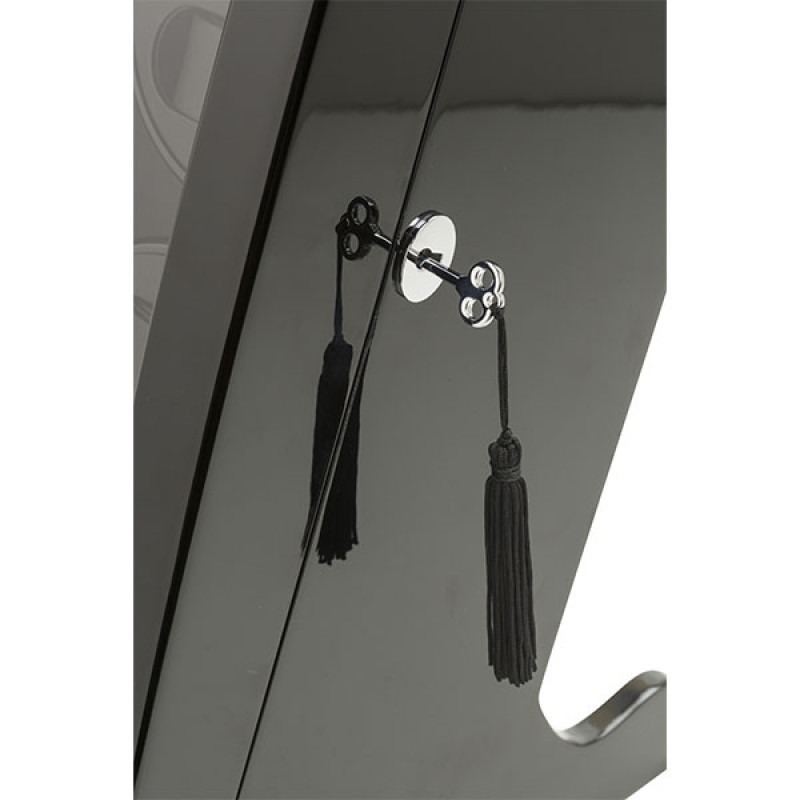 The unit is housed in a black high gloss finished cabinet with a clear perspex door and LED downlights set at a slight reclining angle to allow your watches to be displayed while they are wound. 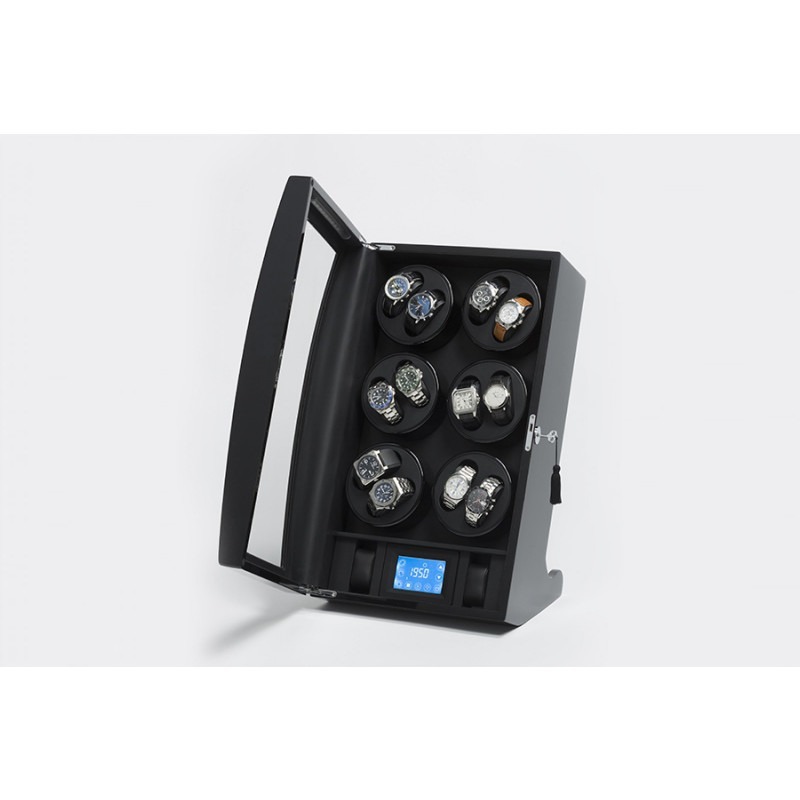 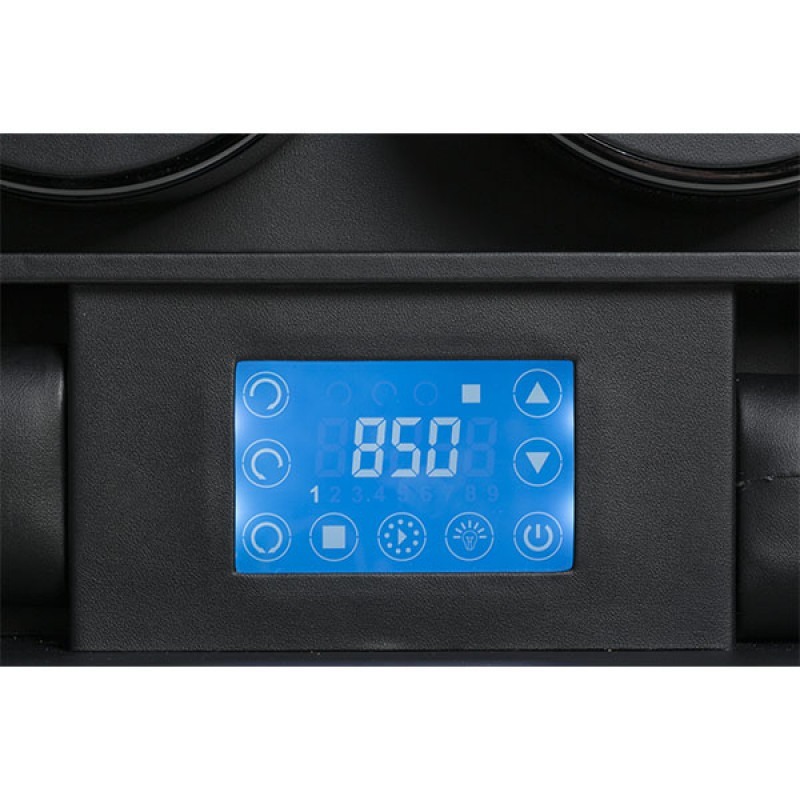 Each of the six large rotors can comfortably accommodate two watches of approx 1 7/8" and each one can be individually programmed from the LCD control at the base of the unit. 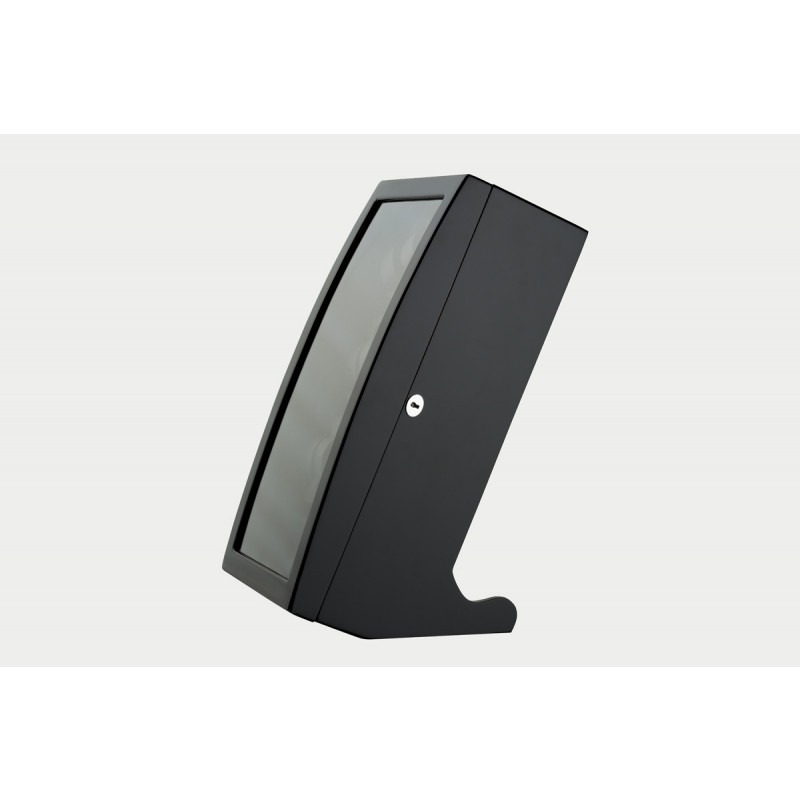 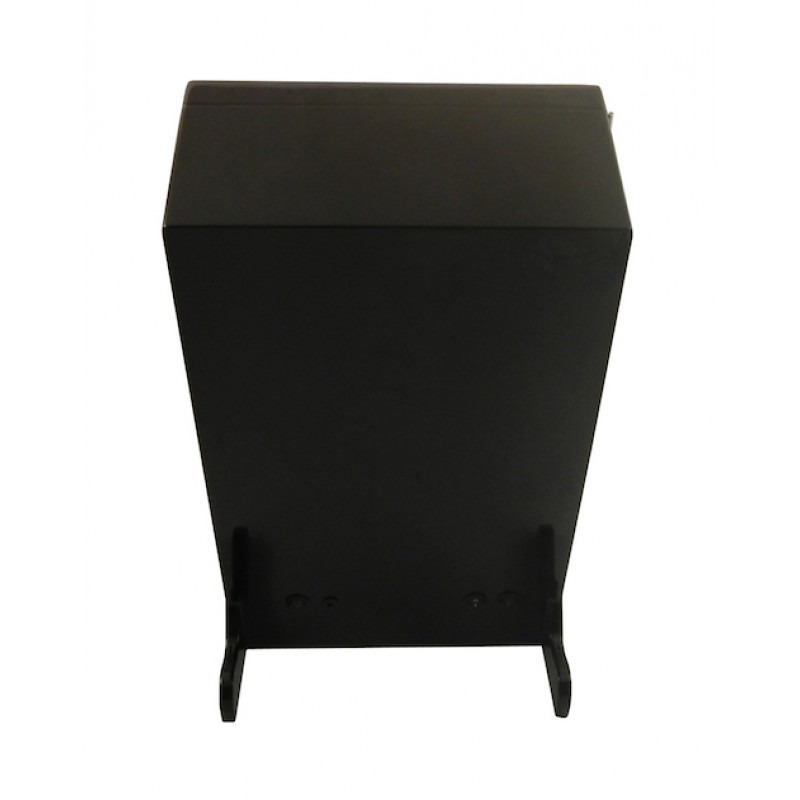 The entire unit is lockable for extra security and runs from AC mains power with the adapter supplied. 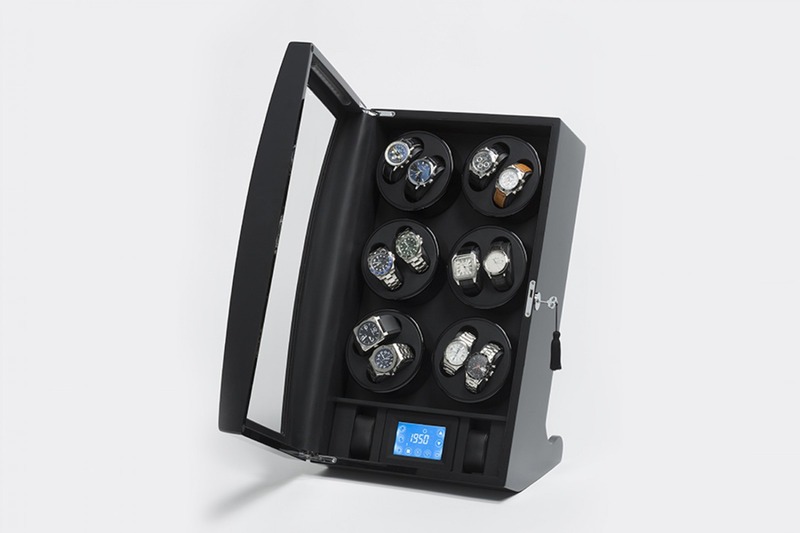 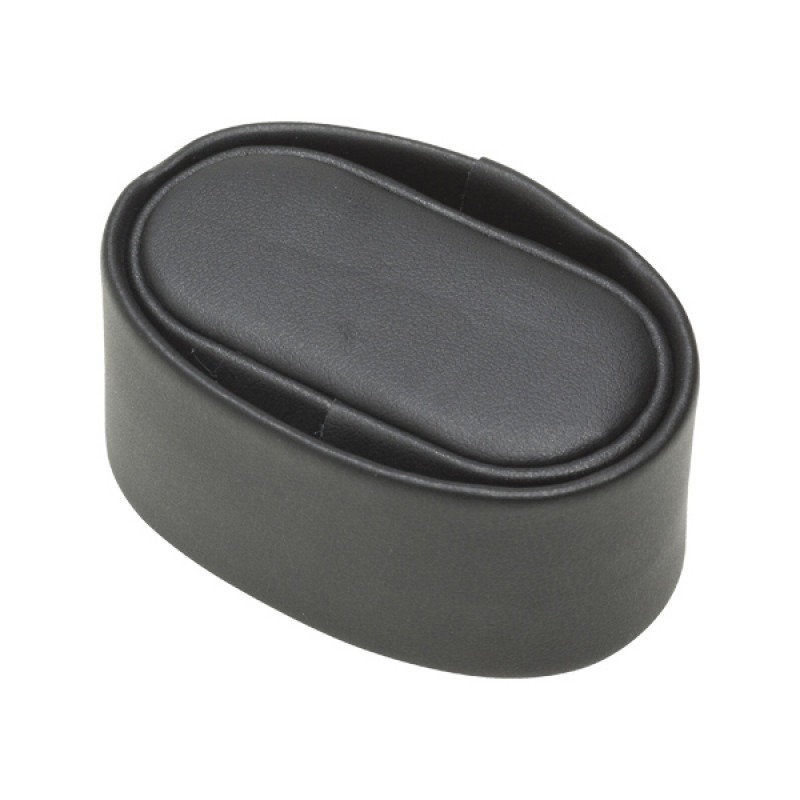 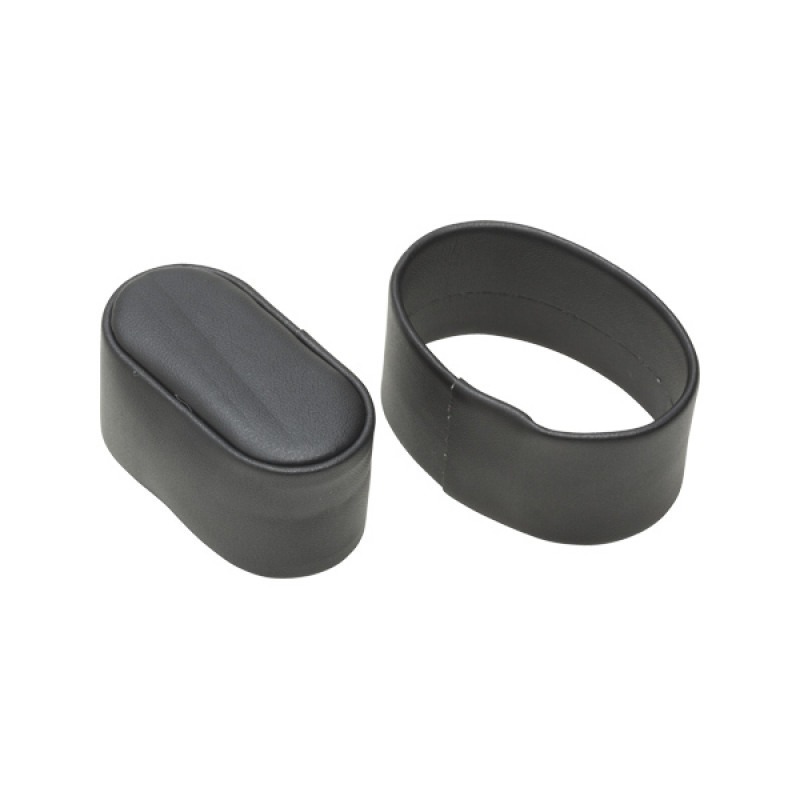 Measuring just 18.25" tall and 10.25" wide by 13.25" deep, this is a compact and elegant unit for your watch collection.